Iceland’s Össur, a company which develops, manufactures and sells non-invasive orthopaedic and bionic prosthetics, received a Popular Science Magazine’s 2012 “Best of What’s New” award for Össur’s new Symbionic Leg. 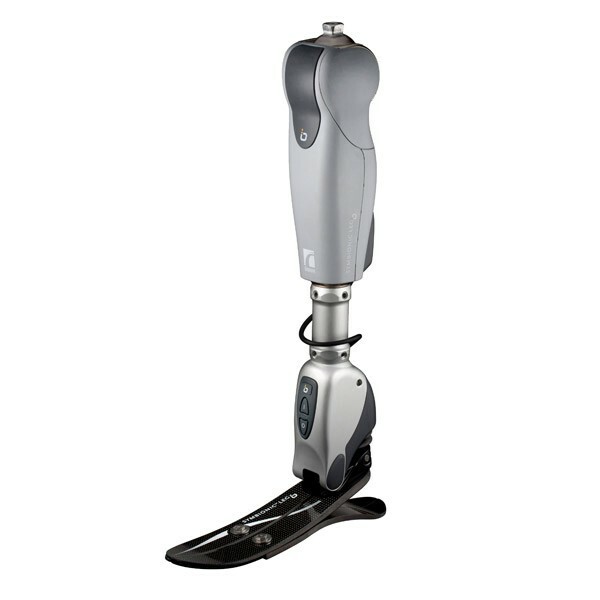 The world’s first complete bionic leg, Össur’s Symbionic Leg combines a bionic microprocessor knee and a powered bionic ankle with proactive powered ankle flexion into a single, integrated unit. Its on-board Artificial Intelligence (AI) systems and sophisticated motion sensors enable the leg to quickly learn its user’s walking style and make real-time adjustments according to changes in speed, stride or surface. Two other robotic winners from the PopSci “Best of What’s New”: Boston Dynamics’ Sand Flea, an 11# camera-toting robot that drives like an RC car but can jump 26’ in the air, and Lockheed Martin/Kaman’s K-Max autonomous cargo helicopter which has been carrying up to 3-ton loads as far as 250 miles for the last year in Afghanistan.